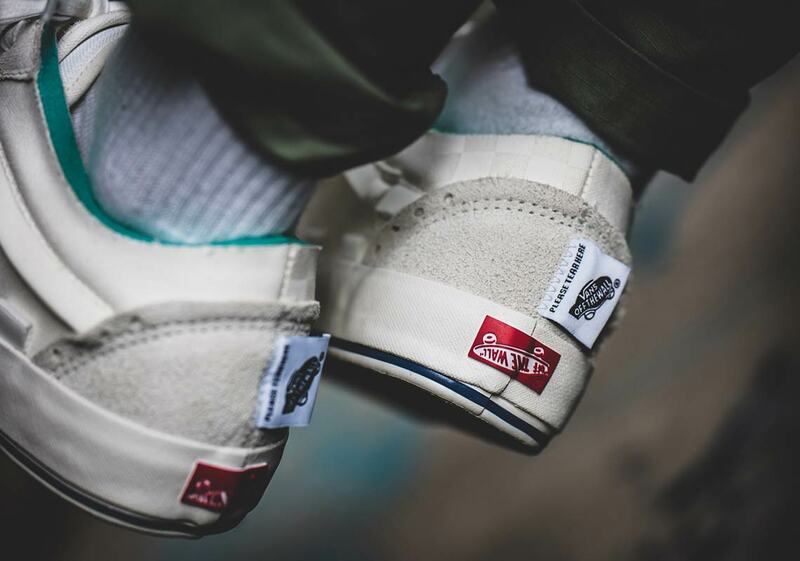 Vans has been on a deconstructed kick as of late, taking apart and piecing back together everything from the Sk8-Hi to the Slip-On. Diving into the history of the designs by stripping them back and re-working them, they’ve created many an interesting take on several of their classic silhouettes. 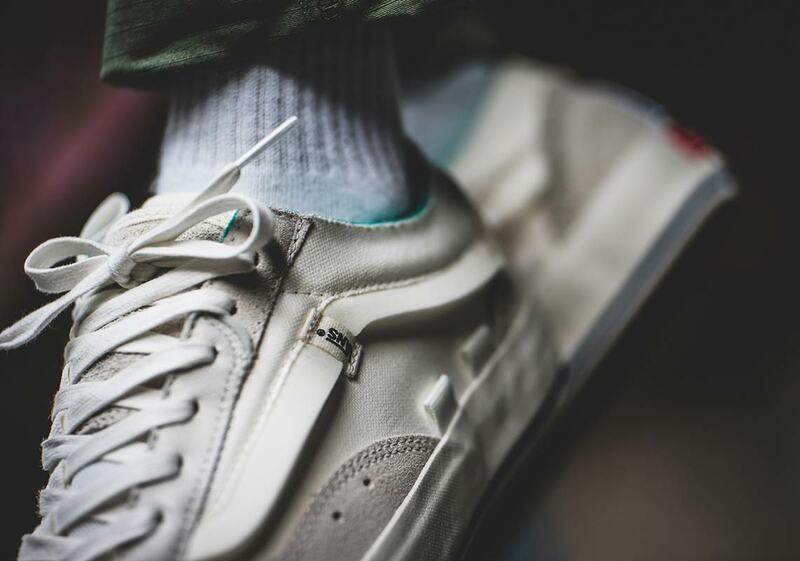 Now, the latest pair to get a material makeover is the beloved Old Skool, featuring a work-in-progress look and plenty of interesting new detailing. 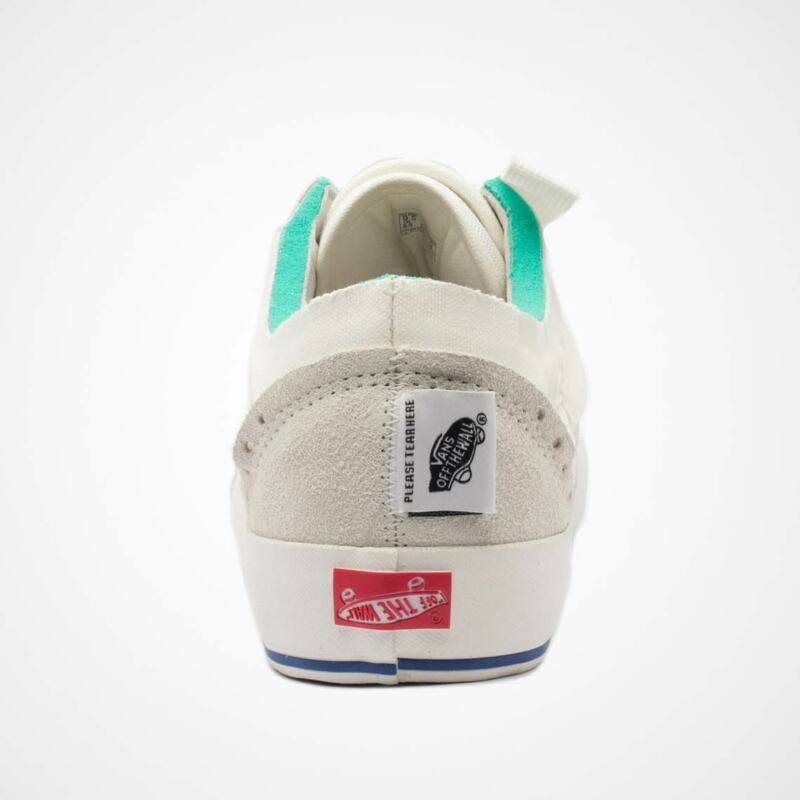 Arriving in a tonal combination of marshmallow, white, and tan, the shoe’s colored accents are few and far between — just teal around the collar, a blue stripe on the midsole, and an upside-down red heel badge. The jazz stripe is raised up and out from the upper due to the absence of a bottom seam, and is held in place by a small overlay. 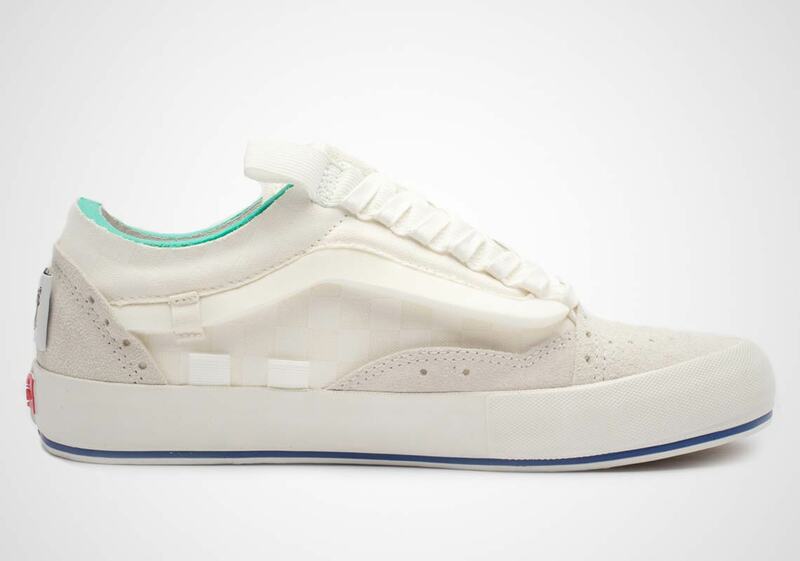 An extremely faint white checkerboard pattern then covers the midfoot, while a piece of elastic bounds up the throat, and a large heel tab features a “Please Tear Here” graphic. 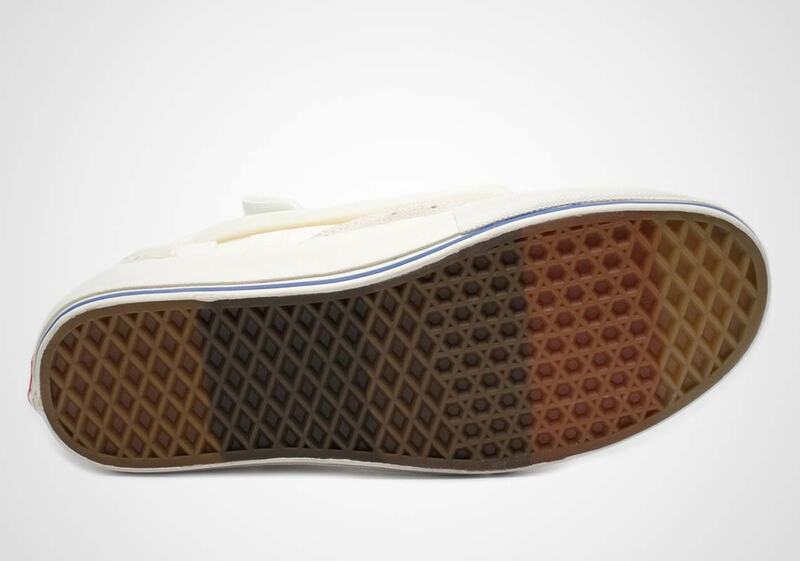 The shoe is then finally completed by a waffle outsole that features a quintet of different gum tones. 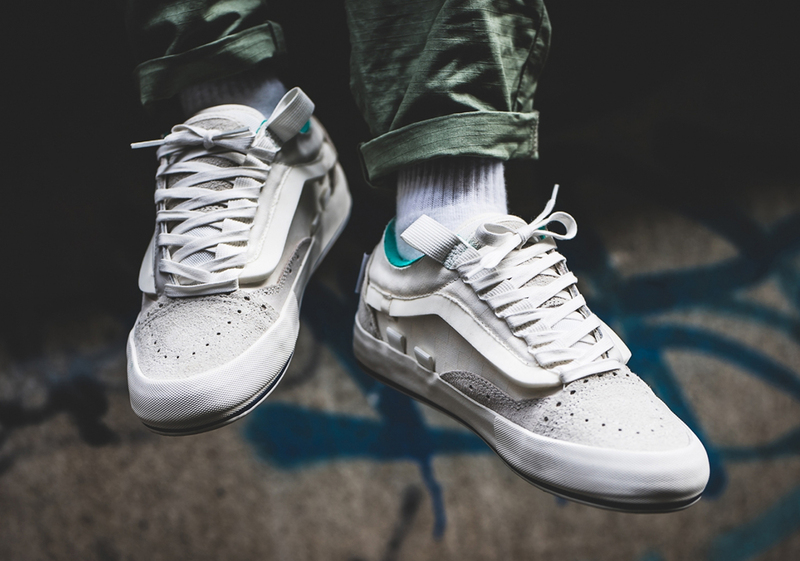 If you like the alternate look of this Old Skool, they’ll release March 1st at the Vans stockists listed below for an even $100 USD.